A Card to Pocket… Again, and Again and Again! Juan Pablo’s famous Card to Pocket routine featuring his original Spaghetti Palm. The spectator is sure that their signed card has been lost in the deck, several times. 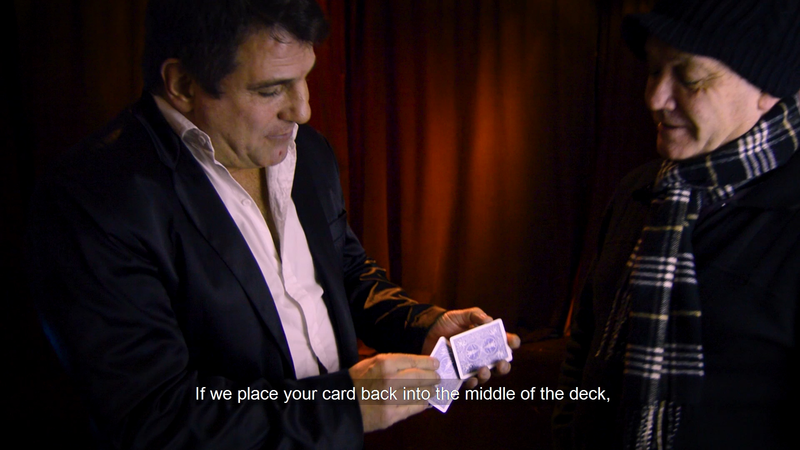 Still, each time their card is found in the performer’s pocket.